Stylish craft cocktails made with home-made tinctures, syrups and tonics from seasonal ingredients. 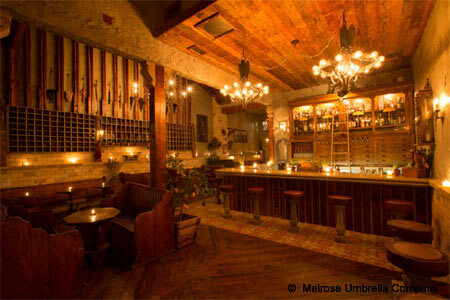 : Eric Greenspan’s shuttered restaurant The Foundry on Melrose has been completely transformed into the stunningly beautiful cocktail spot Melrose Umbrella Company. Austin Melrose and Zachary Patterson create a stylish craft cocktail program using home-made tinctures, syrups, and tonics from seasonal ingredients.